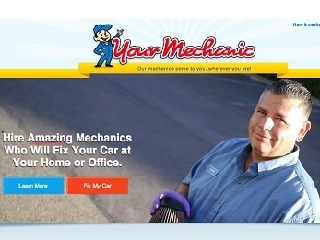 VatorNews | How does YourMechanic make money? 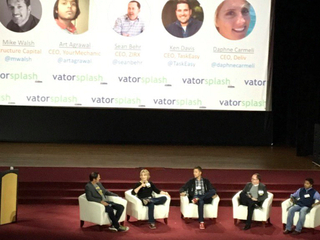 As one of the companies that joined our zero waste economy panel at Vator Splash Spring 2016, YourMechanic represents a vast, burgeoning market where consumers can order just about any product or service on-demand. The company has raised a total of $32 million in venture financing from Andreessen Horowitz, Silicon Valley Bank, and several other investors, most recently with a $24 million round in March. Through the website or mobile app, customers go to YourMechanic to describe the problem with their car (including year, make, and model), get a quote, and book an appointment with a certified auto mechanic. It's truly on-demand, as the customer doesn't have to do anything else: the mechanics are fully mobile and go to wherever the car is to perform their work. Within these broader categories, YourMechanic says its mechanics cover more than 500 services, from the simplest to the most complex. So how much do these services cost? A traditional mechanic typically charges customers based on an hourly rate plus the cost of any necessary parts. 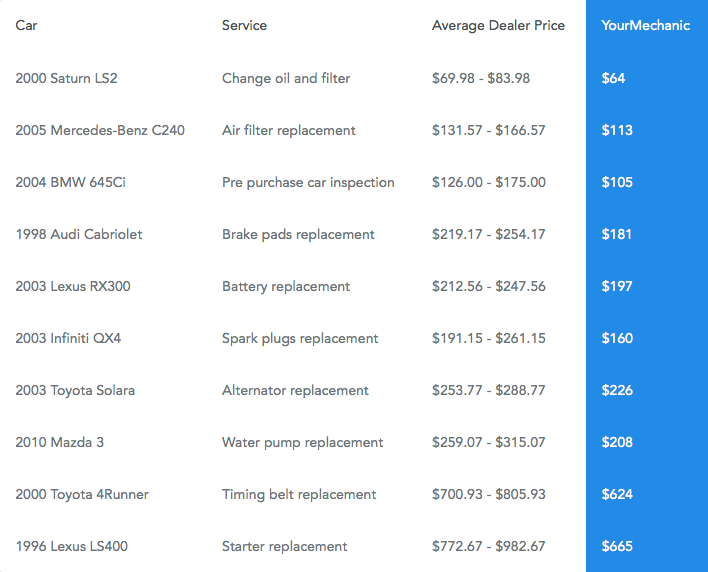 YourMechanic handles the cost of parts the same way, but the labor is computed ahead of time "based on decades' worth of car repair information and the industry standard labor guide." 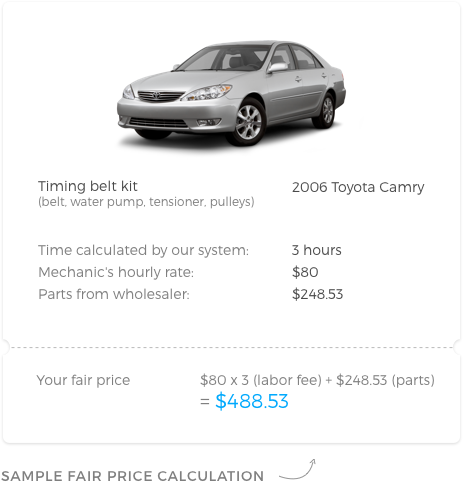 In the example below (taken from YourMechanic's pricing page), replacing the timing belt on a 2006 Toyota Camry takes mechanics (on average) three hours to complete. At an $80 per hour rate (plus $248.53 for the necessary parts from the wholesaler), the total cost to the customer comes out to $488.53. The customer pays that amount regardless of whether the service takes longer or shorter than three hours. YourMechanic argues that its services will typically cost less than local auto dealers and shops because it doesn't have the physical overhead of a physical location. And it says, as a national brand, it has more leverage to secure reduced costs for parts from wholesalers. Of course, YourMechanic isn't pocketing the entire payment from the customer. The cost for parts naturally goes to the wholesaler and the cost of labor largely goes to the mechanic. But YourMechanic takes a percentage cut "based on the specific job and the specific mechanic doing the work," a company spokesperson told me over email. Though the company wouldn't specify exactly how much of a cut it takes from service charges, it does say mechanics take the majority of the labor fees. Overall, the main point is that YourMechanic's business model is very similar to that of Uber, Handy, and other companies in the on-demand market. 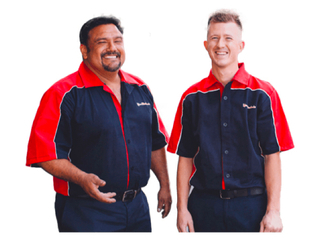 The company simplifies and distributes a long-established service (taxiing, house cleaning, auto repair) by employing independent contractors to perform the work. Customers pay through the app, the company takes their cut, and the contractor gets the rest. 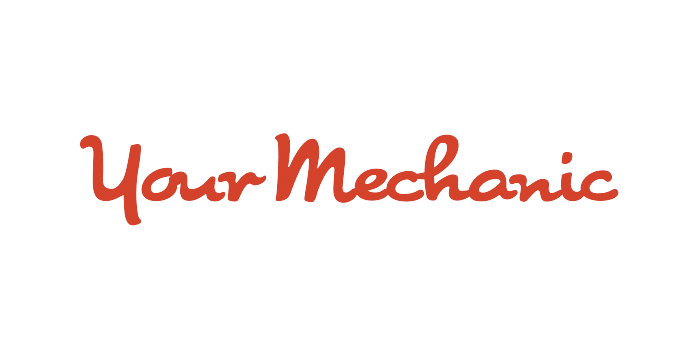 YourMechanic, the mechanic that comes to you, is a venture-funded, award-winning auto repair technology startup that enables car owners to get their vehicles fixed conveniently and economically at home or work. How does Handy make money?